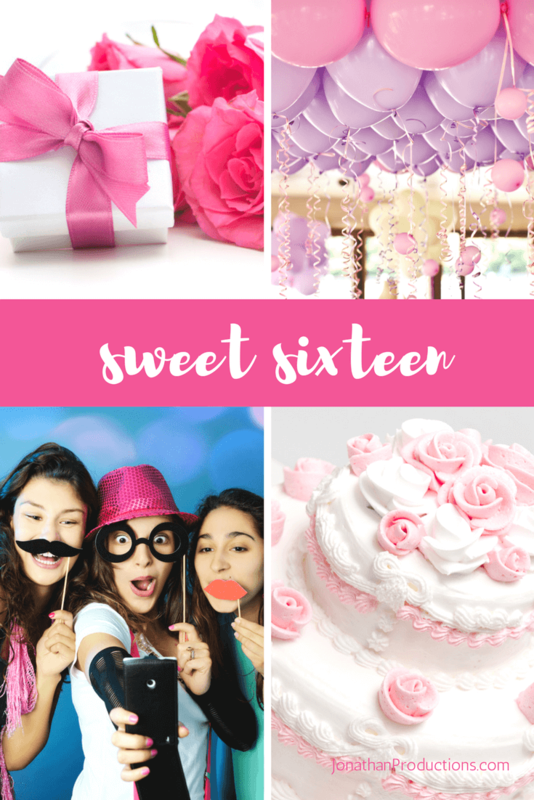 You only turn “Sweet 16” once in your life. On your most magical day you want to shine brightly and enjoy this fun with your best friends. We will celebrate you, our precious star. Let us help you set up your dream party! ◈Laser light show ◈Photo booth ◈Plasma screen TV’s ◈Zap photo shooting ◈personalized montage ◈Up-Lighting ◈Intelligent Lighting ◈Giveaways ◈Dancers ◈Red Carpet scenes with backgrounds ◈Life Story montages ◈Zap shots ◈Percussionists ◈Confetti Blasters ◈Live performers ◈Tee shirt launchers ◈Photographer ◈Videographers ◈Nightclub-style lighting effects ◈Fun food stations ◈Lounge furniture and much more.